The team, led by Morgridge Institute Fellow Dave Vereide, describes in the Jan. 9, 2018 issue of Stem Cell Reports a new method of creating human arterial endothelial cells from cord blood and adult bone marrow sources. These cells, which have been notoriously difficult to grow in stable quantities, are essential to any future tissue engineering efforts to combat heart disease. But a second feature of these cells may prove more influential. Vereide says the cells exhibit two distinct states: One that retains its healthy arterial properties over many generations of growth; and a second that fairly quickly shifts identity to a compromised cell type that is strongly linked to arteriosclerosis, or hardening of the arteries. This change in identity, known as the endothelial to mesenchymal transition, is widely recognized as a major risk factor for congenital heart disease, fibrosis of vital organs, hypertension and heart attacks. Vereide says the structural changes in the two cell types are quite visible. Endothelial cells have an elongated shape, and tend to grow in smooth, single-cell layers that comprise the inside surface of the artery. By contrast, mesenchymal cells become more star-shaped and they can deposit a calcified extracellular matrix that is prone to building up in the artery. Vereide says mesenchymal cells also can pile up on one another, leading to a thickening or buildup in the arteries that constricts blood flow. 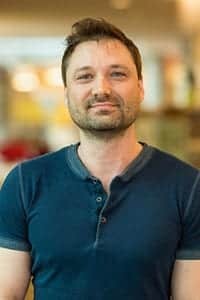 Having these new cell lines neatly assemble in a dish in two forms — one resistant to the mesenchymal transition, the other remarkably susceptible to it — could be a huge boon not only to understanding the basic biology of this change, but in discovering drugs to suppress it, Vereide says. 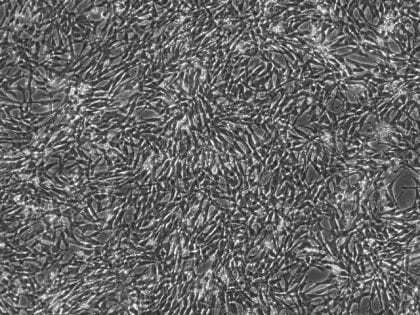 These are endothelial cells, which have an elongated shape and tend to grow in smooth, single-cell layers that comprise the inside surface of the artery. In creating the new cell lines, the team used two transcription factors — or proteins that control specific genetic functions — that were known to be important for a wide range of cell types. But it turned out that when combined, they almost exclusively regulate arterial endothelial cell growth. That was a “super-lucky” coincidence, Vereide says. For the vast majority of things that can go wrong in the human circulatory system, almost all of them relate to artery dysfunction. That makes the arterial endothelium a prime target for discovery. Until recently, scientists had trouble getting these cells to grow in vitro, relying on arterial cells from cadavers that quickly lose their arterial traits and do not proliferate very long. This advance provides a second valuable source for these cells. The other advance, which also came from the Morgridge regenerative biology lab in summer 2017 led by stem cell pioneer James Thomson, produced, for the first time, functional arterial cells from pluripotent stem cells at both the quality and scale to be relevant for tissue engineering, including the creation of arterial banks for use in heart surgery. “Now we have one line of research focused on cellular therapy and another focused on drug discovery, so we’re covering all the bases,” he says. These are mesenchymal cells, which become more star-shaped and also can pile up on one another, leading to a thickening or buildup in the arteries that constricts blood flow. What is happening in the endothelial to mesenchymal transition? Vereide says it’s likely a normal process gone awry. 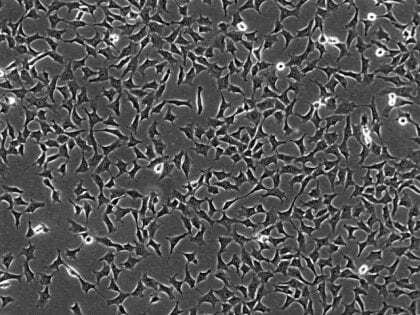 The next big challenge will be to find the genetic differences between these cells that makes one group more resistant. Vereide says the hope is finding targets for drugs or small molecules that could restrain this disease transition. In the same way that a broad class of statin drugs has revolutionized treatment of high cholesterol, there could be a new class of drugs that attack this prime precursor to arteriosclerosis, he says. It could also have value for cellular therapies. “You could imagine a test to predict whether your cells are going to be permissive or resistant to the transition and steer clinicians to the cells that will perform best in the human body,” he says. Arterial stem cell research is a primary focus of the Thomson lab. The vascular system in humans collectively stretches over 60,000 miles and supplies the oxygen and nutrients for every part of the body. Cardiovascular disease is the leading cause of death worldwide.